‘Research and Innovation beyond the Information Age’. The MCAA General Assembly and Annual Conference, which will be held in Vienna, Austria, 24 & 25, February 2019. Are you ready to embrace the future and discuss the role of research in society? Join us! A joint response to the implementation guidance for Plan S has today been issued by three organisations representing early-career and senior researchers in Europe. In this 2-day meeting participants will learn how to contribute to innovation covering a large variety of roles in the value chain. The main focus of the event will be to establish a discussion between startups in Ukraine and the EU on the pros and cons of managing projects on the edge between business and science. We envision a future in which knowledge will be used to benefit society. We support, and contribute to, the advancement of knowledge for a global, diverse, and informed society. 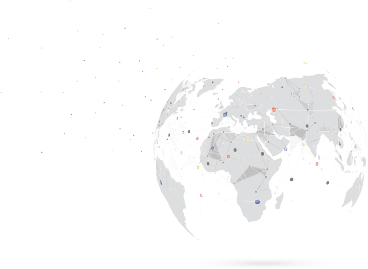 MCAA connects researchers throughout Europe, and around the world, to enable international transdisciplinary collaborations. Stay connected with other Marie Curie researchers and access various services meant to help you advance your career. Join in and get involved – your input is important! Sponsor and support activities that will enhance the image of MCAA. Did you complete your FP7 or Horizon 2020 project? Don't miss this opportunity to be rewarded for your hard work! What is it? What's going on our groups and chapters? Are you new in Denmark? From which of the following sources have you found out about the ESR fellowship position that you were later selected for? Any inputs are appreciated, thank you! Where did you find out about your PhD position in a MSCA network? Submitted 2 weeks 6 days ago by Maria Górna. Our next montly MCAA hangout in Warsaw will take place in the usual location. This time we would like to discuss and practice a skill: mentoring. What does mentoring mean, and how is it different from coaching or supervising? How to employ active listening and other useful techniques? What aspects of science and life should mentoring cover? Whether you are looking for a mentor or would like to become one, or just want to join for a friendly chat - drop by and put your skills to test in a friendly atmosphere over a pint. Submitted 3 months 1 week ago by Stefan Bauer. Scientists often struggle to communicate the findings of research. Our subject matter can be technical and not easily digested by a general audience. However, only with a story, findings can be communicated. Stories are the most powerful way to communicate information. Our audiences need stories to help them remember. So, we must tell the right stories about our findings. Only then, they can become part of the received knowledge that drives the possibility of scientific progress. Submitted 2 weeks 1 day ago by Jana Kemnitz. The monthly "Marie Curie - Stammtisch" - is an informal social event in Vienna to get together meet, other members and exchange experiences (drinks will not be provided by Marie Curie Alumni Organization). Submitted 2 months 3 weeks ago by Site Admin. Submitted 3 weeks 5 days ago by Maria Magdalena Razalan. Come join our open and frank discussion about mental health in academia, organised by MCAA-UK and the Office of Post-doctoral Affairs (OPdA) of the University of Cambridge. Special Offers for MCAA members!